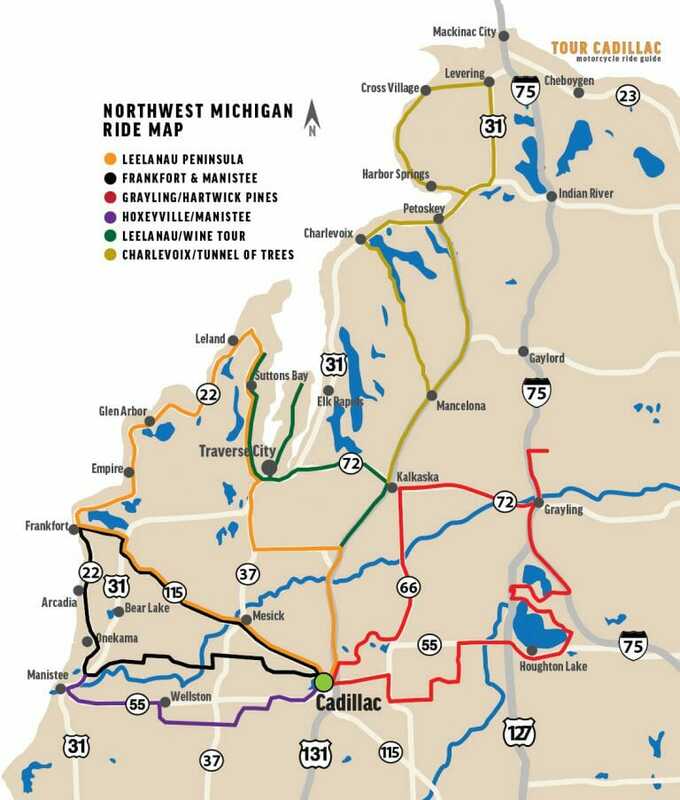 This motorcycle route takes in a few of the things that make Northern Michigan truly unique. On this ride, you will follow the shoreline of the largest inland lake in Michigan and spend some time among ancient giants at Hartwick Pines State Park. This 9,600 acre park is home to some of the only remaining virgin pines in the state. Along the way you will take in some absolutely unbelievable farms around Vogel Center and Prosper. You won’t want to miss the “Museum of Moses” in Vogel Center, this unique little museum has Harley’s dating back to 1937.
er. Turning south on M-66 will bring you into McBain. Just east of McBain you will leave M-66 and turn onto a county road leading into Vogel Center. Turning north in Vogel Center will bring you to Falmouth Rd. Turn right onto Prosper and continue to the end of the road. Heading north will once again bring you back to M-55. Turning right will lead you into Houghton Lake. The roads winding around Houghton and Higgins Lakes will bring you into Grayling. Just north of Grayling is Hartwick Pines. Headed south from the Hartwick Pines, pickup M-72 west out of Grayling and take it to M-66 just outside Kalkaska. Head south on M-66 to Lake City. Head west on M-42 until you see the signs for Jennings. A ride along this tree covered and winding road will soon lead you back to M-55 and into Cadillac.